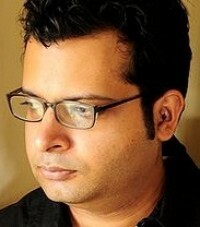 Amit Varma is a writer based in Mumbai. He dabbled with advertising, television and entrepreneurship in the mid-to-late 1990s and early 2000s before settling down in journalism. The last fulltime job he held was as managing editor of Cricinfo, and he also wrote on economics, politics and culture for publications such as the Wall Street Journal, the Guardian and the Observer. He wrote columns for Mint (‘Thinking it Through’), Yahoo! (‘Viewfinder’), Mail Today and the Hindu Business Line (‘Lighthouse’). He won the prestigious Bastiat Prize for Journalism in 2007, awarded annually to a writer "whose writings wittily and eloquently explain, promote and defend the principles of the free society." He is best known, though, for his blog India Uncut, which was probably India’s most widely read blog between 2003 and 2009, and won various awards. In 2009, Businessweek named Amit one of India’s 50 Most Powerful People. 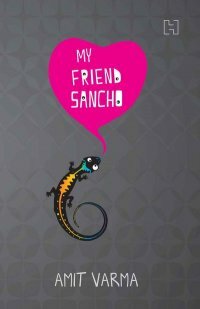 His first novel, My Friend Sancho, was published in 2009, and became the biggest-selling debut novel of the year. Its manuscript had been longlisted for the Man Asian Literary Prize in 2008. Amit was a professional poker player for a few years after that, and wrote a column on the game for the Economic Times (‘Range Rover’). Both poker and writing are all-consuming, and in 2015 he decided to prioritise the writing and go back to being a part-time poker player. He is currently working on a non-fiction book about the lack of personal and economic freedoms in post-Independence India.